Dolly wink is a Japanese Cosmetic brand that offers a various range of beauty products; such as eye shadow, blush, mascara, eyeliner, false lashes, etc. 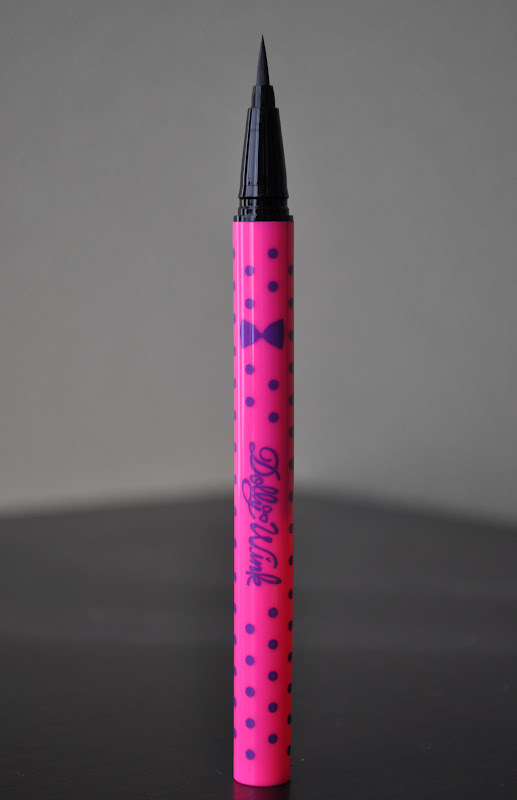 Dolly Wink is one of the favorite liquid eyeliner pens. This liquid eyeliner has such a fine tip that it makes precise application and detailing a breeze! Although it's not the blackest of black, it's still a great deep black color (as the name would suggest :P). Also, dolly wink holds up pretty while against sweat and water and doesn't smudge easily. 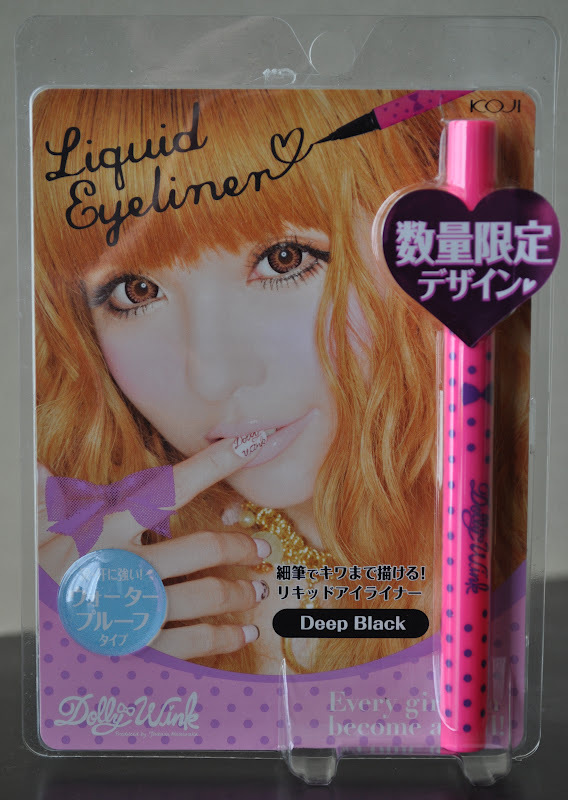 I believe I paid 1,290 yen ($16.62), the regular retail price for Dolly Wink liquid eyeliner. What is your favorite Liquid eyeliner? I always wanted to try the dolly wink liner! I like my liner thick so the precise brush might be a little time consuming for me but I am still very tempted! I highly recommend this liner for precision lining. You won't be sorry Ari :) do you want me to send you one?